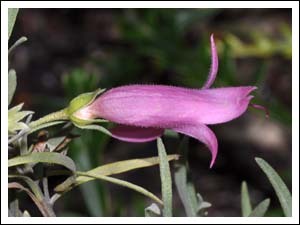 Spring in the native garden. Another spring is with us after a winter that produced a dry 7 below frost that caused significant damage to a number of shrubs. 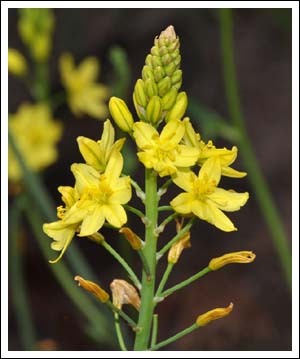 Regrowth is now getting under way, but the plants that rode it out are putting on a show. The following pictures illustrate that show with many of the subjects having special significance to the gardener. 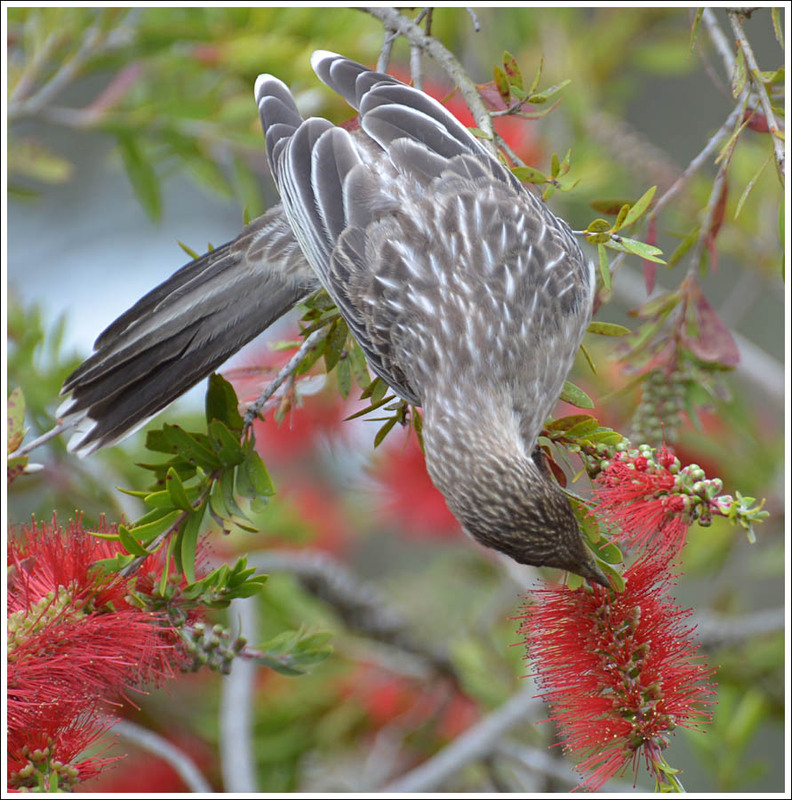 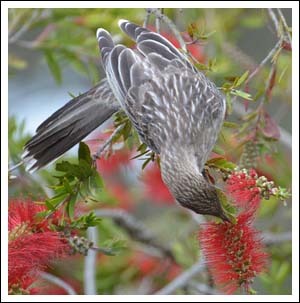 Grown from seed from a long forgotten source, this callistemon with its clear red flowers is always a reliable food source for the garden bred immature Red Wattlebirds. 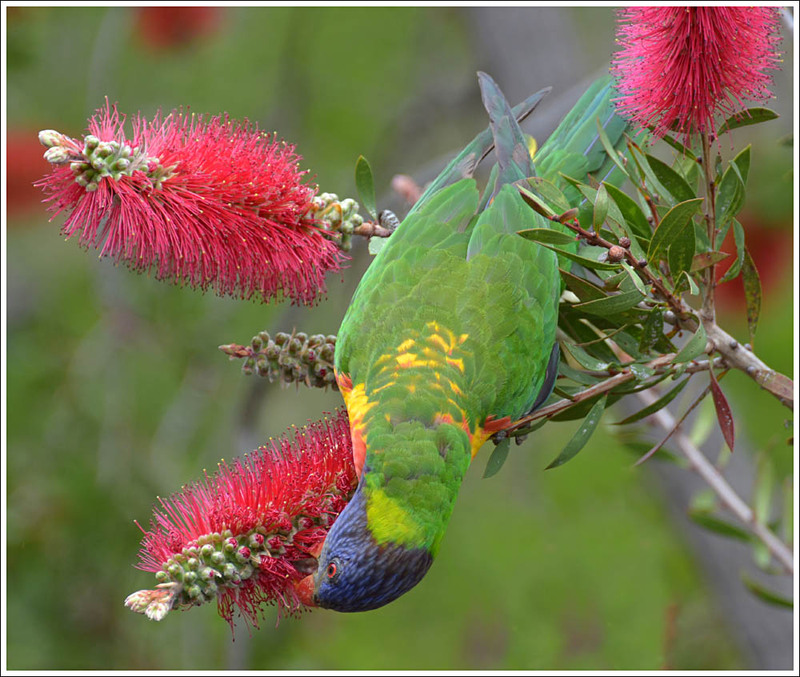 Rainbow Lorikeets also get in on the act. 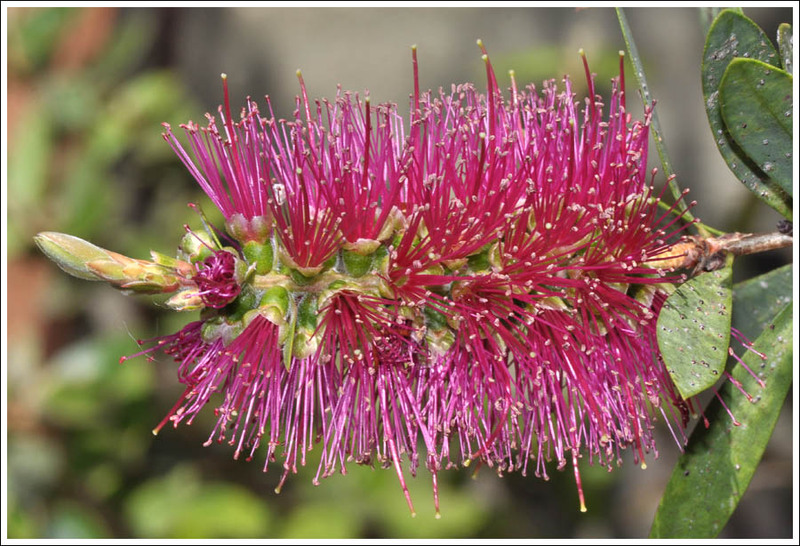 Many years ago when dropping down to the Avon river on a remote 4WD track, the parent of this cutting grown callistemon caught our eye on the bank. 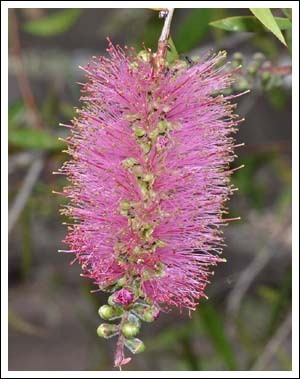 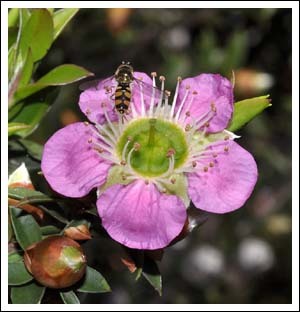 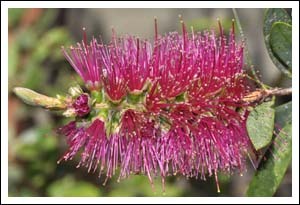 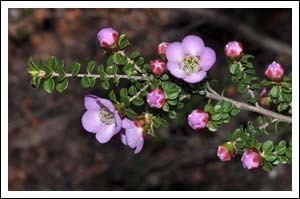 At the Avon River Channel this rosy lilac coloured callistemon grows in company with the typical form of C. pallidus. 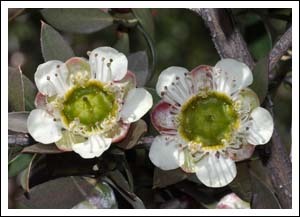 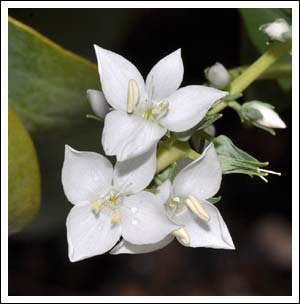 It is a successful hardy garden shrub. 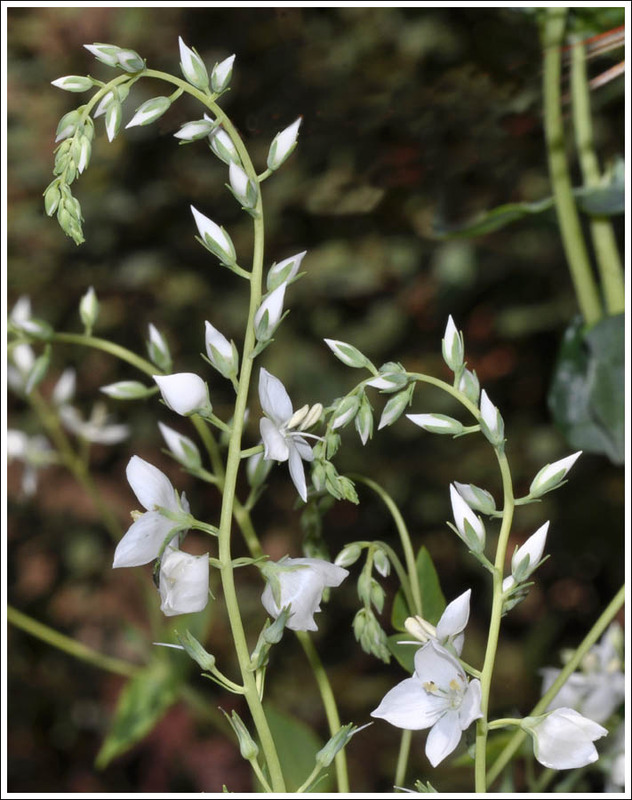 Veronica perfoliata and Veronica derwentiana are common in the higher country to the north, but the white form of the former and the blue form of the latter are special. 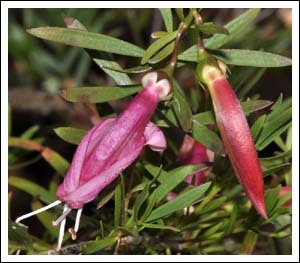 They came from the Clearview Nursery of the late Bill Cane, an indefatigable seeker of the unusual. 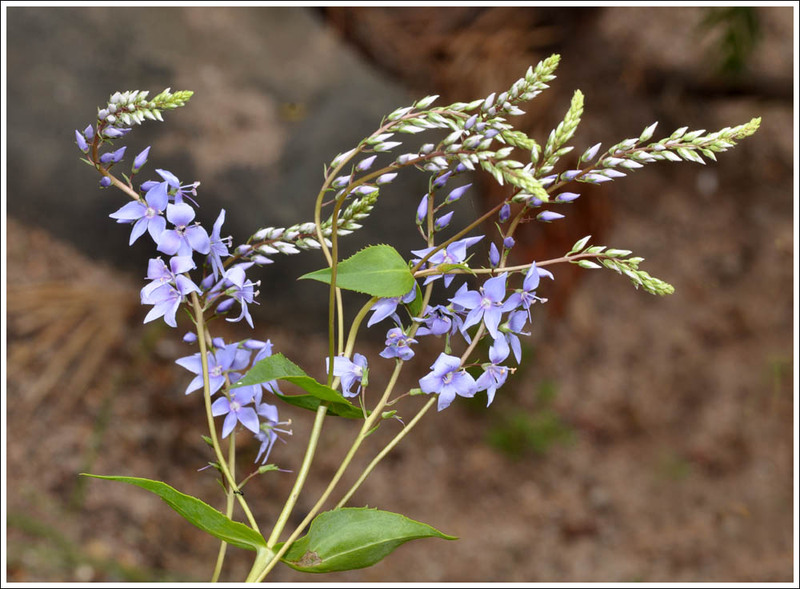 Digger’s Speedwell, Veronica perfoliata, white. Derwent Speedwell, Veronica derwentiana, blue. 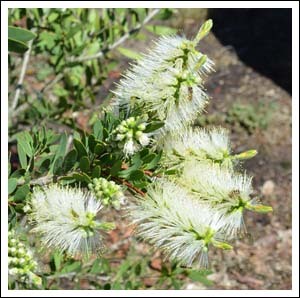 Also from Clearview, the white Callistemon citrinus. 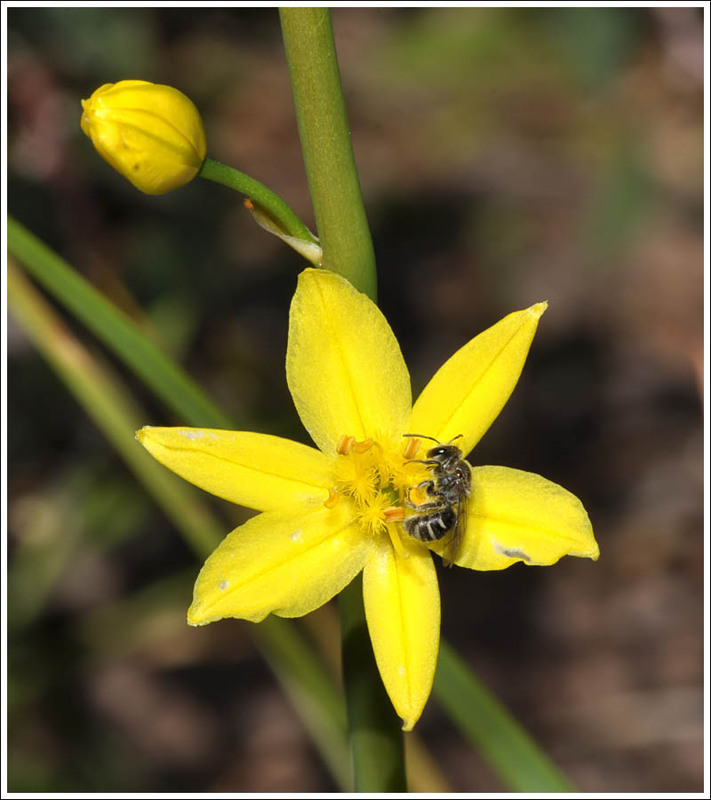 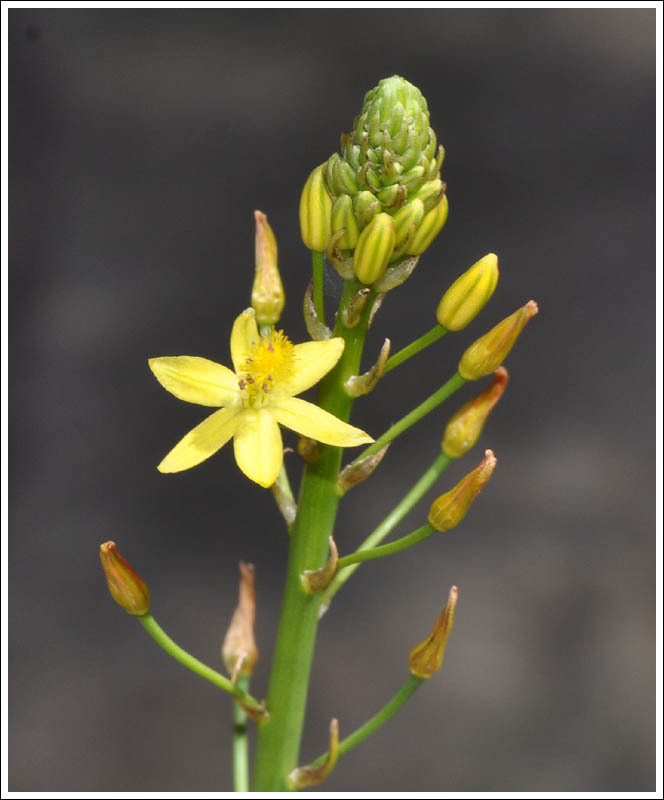 The Bulbine species bulbosa and semibarbata are local plants that are especially favoured by the pollen gathering native bees. Three Leptospermums, the hybrid Rhiannon, rotundifolium, and macrocarpum are well worth waiting twelve months for. The nectaring Australian Admiral would agree. 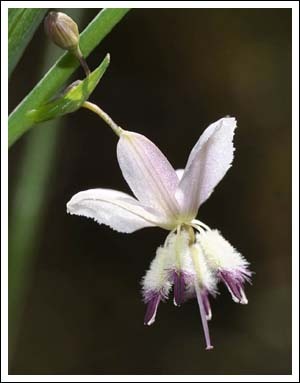 The Pale Vanilla Lily, Arthropodium milleflorum is a delightful plant, also relished by native bees. Their pollinating exploits have, as with the Bulbines, resulted in many seedlings popping up. 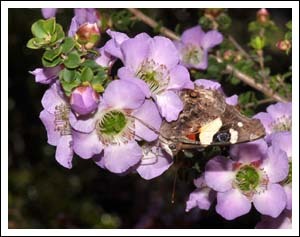 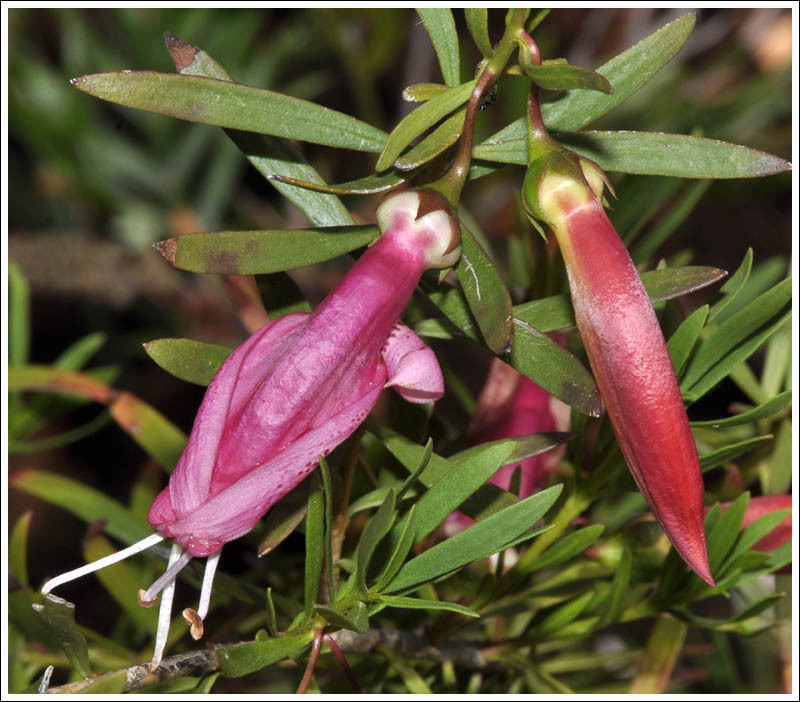 Another plant loved by the honeyeaters is Eremophila maculata. 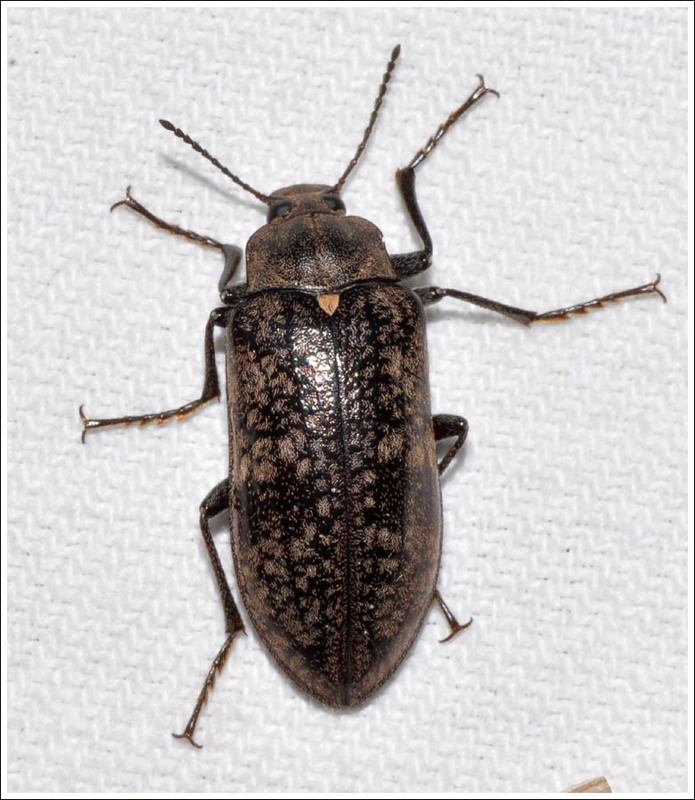 Posted on October 30, 2017 by TricarpaPosted in General Nature. 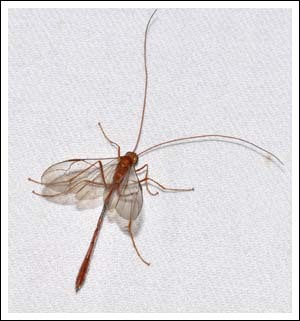 Many other varieties of insect come to the moth light, and this post will show some that came in on a night up in the foothill forest. Beetles were very numerous, this species was more interesting than the large scarabs that flocked in. 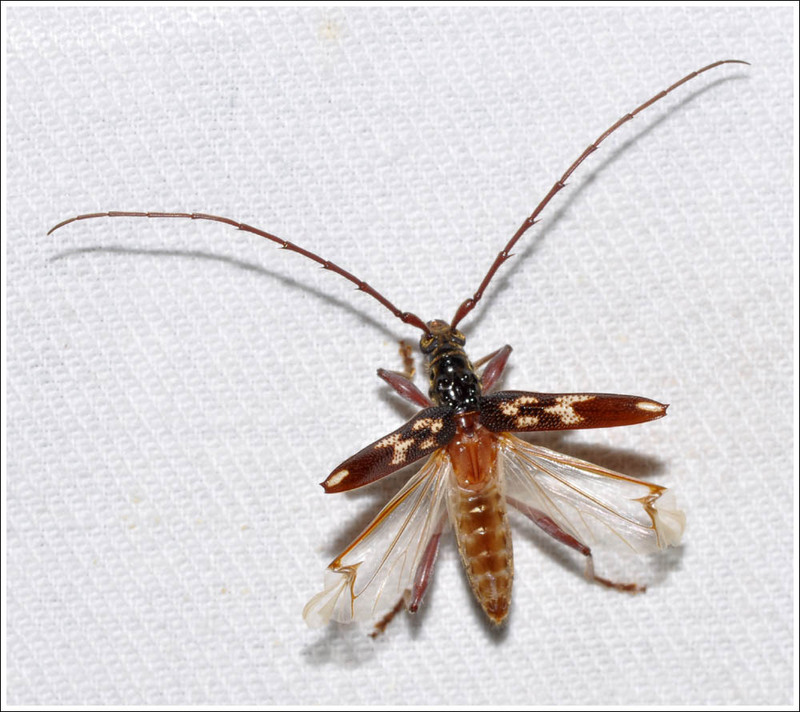 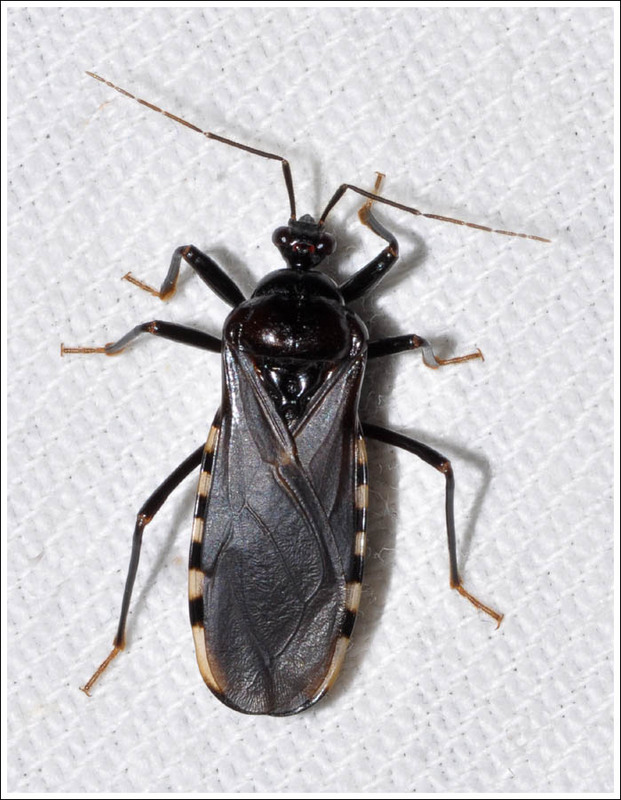 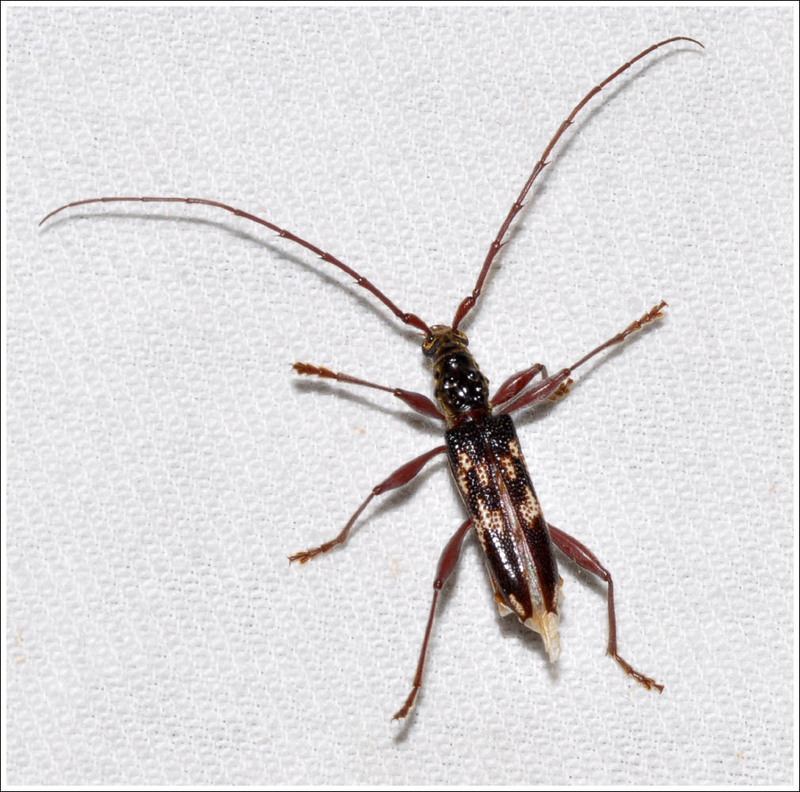 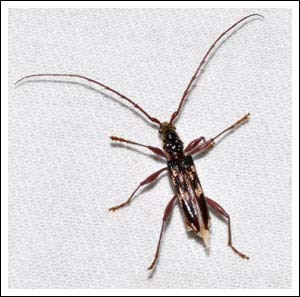 Not a beetle but a handsome species of bug. Again, not a beetle but a bark cockroach, also a handsome insect. 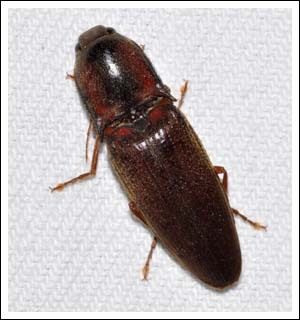 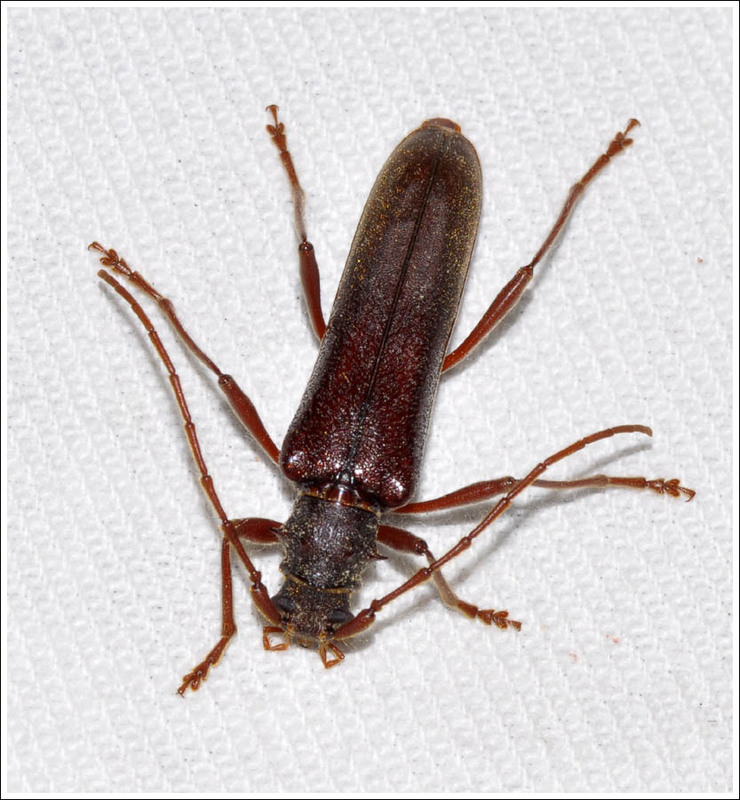 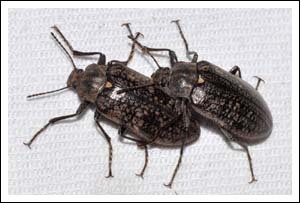 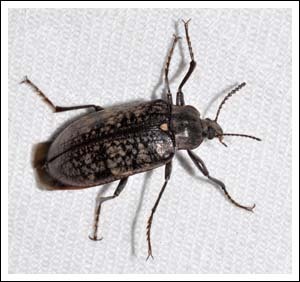 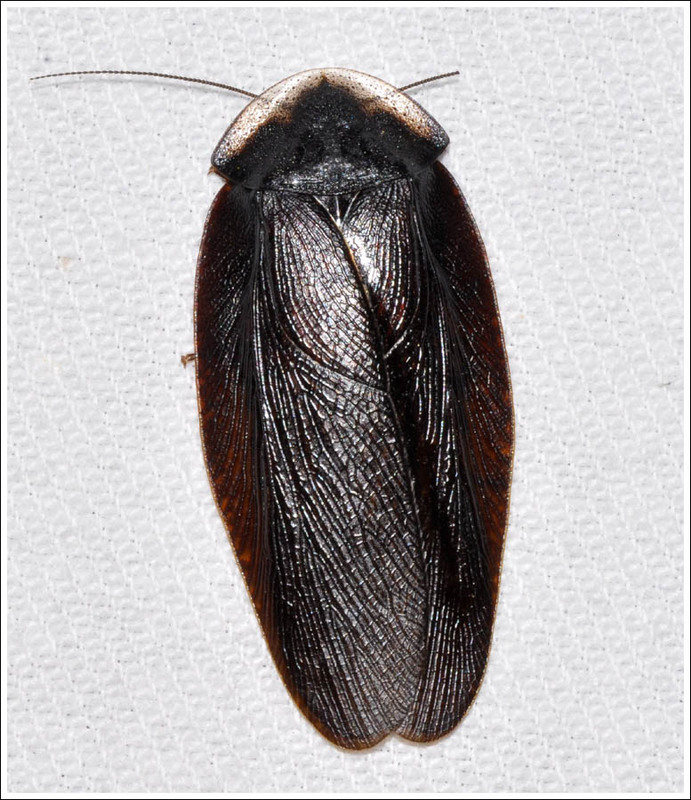 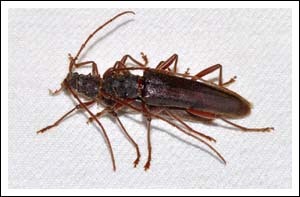 Click beetles are common visitors to the light. 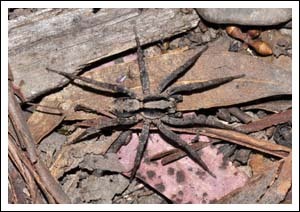 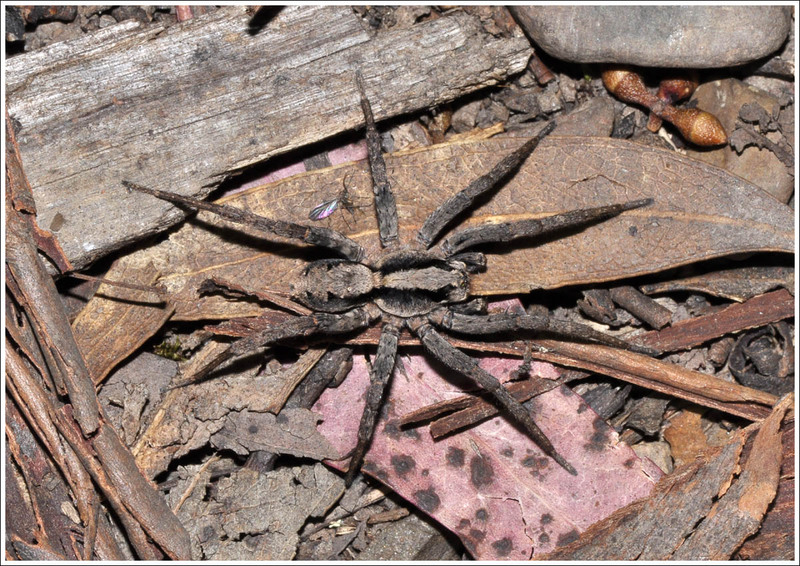 Wolf spiders often wander in to see what’s going on. Posted on October 23, 2017 by TricarpaPosted in General Nature.